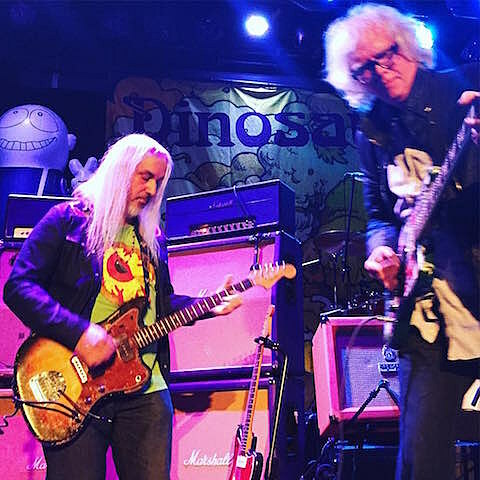 – Lee Ranaldo made his third appearance this week, singing on “Little Fury Things.” I think Lee just loves Dinosaur Jr, you could tell he was having a blast and spent the rest of the set sitting on the side of the stage singing along. – Thalia Zedek of Come/Live Skull came out to sing “Feel the Pain.” Mascis noted that Thalia sang backup on the original recording (from 1994’s Without a Sound). You can catch Thalia tonight (12/8) at Union Pool with 75 Dollar Bill. Similarly, Tiffany Anders (daughter of filmmaker Alison Anders and singer songwriter in her own right) came out to sing “Get Me” (she sang on the original recording from 1993’s Where You Been?). 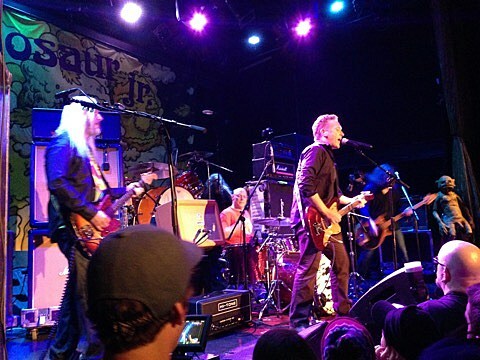 – Bill Janovitz of fellow Boston band and onetime SST labelmates Buffalo Tom sang “Tarpit.” When Buffalo Tom first started they were jokingly called Dinosaur Jr Jr, a comparison aided in part because J Mascis produced their first two albums. – B.A.L.L. 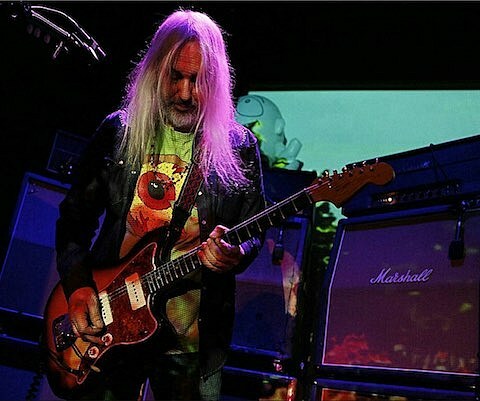 / Gumball member (among other projects) and famed indie rock producer Don Fleming was brought out to play guitar on Green Mind‘s “The Wagon.” Mascis told the crowd that Don had played on the original and this was the first-ever attempt to play the “single version” of the song live. It was pretty awesome. Gumball drummer Jay Spiegel was on the second kit. – Don, Spiegel and Lee Ranaldo (on third guitar), plus some of the stage crew (one of whom on that electric sitar) were all out for “Cortez the Killer” which was indeed killer. – Henry Rollins’ introduction was entertaining. He told a story about how he and Ian MacKaye used to go see “arena rock” bands before discovering punk, telling a very funny story about going to see The Cramps (it involved the removal, folding and return of Lux Interior’s pants), and how then they’d finally found “their music.” He also implored people to go see (and play) more shows in the wake of the Paris terrorist attacks. Rollins also has the best seat in the house. – Lou Barlow said he cut his left pinky the first night of the run and he can’t seem to get a band-aid to stay on the whole time, and that it hurt like hell to play. Lou’s Cousin It hair obscures his face for 99% of the show.